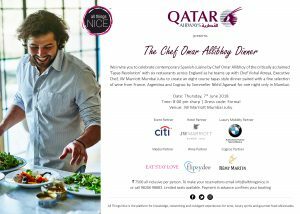 If you’re visiting Mumbai and would like a first hand experience of our local cuisine, top end bars and signature style restaurants, All Things Nice can put together a comprehensive plan for you. 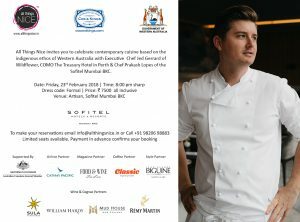 We will take you through the secrets of local Mumbai food coupled with top end Indian wine and award winning Indian single malt dinners at some of the best restaurants in the city. We can create customized dining experiences for you and your friends in the company of Sommelier Nikhil Agarwal or simply share a recommended itinerary to help you eat and drink your way through Mumbai. Nikhil Agarwal writes some pretty straight up articles on wine and spirits and can be your columnist for an added spin on the month’s issue. Our penchant for all things nice led us further into the world of luxury living and we became the natural partners for realty giant, Knight Frank. We now have access to premium residences and commercial spaces across the world. Our role in luxury realty is simple – we have our pulse on the hottest premium spaces not just in India but worldwide, which we will be more than thrilled to introduce to our members while Knight Frank handles the finer details. 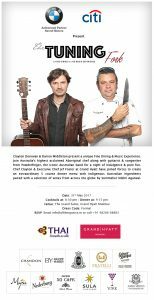 FINE DINING EVENTS – The All Things Nice Shine Nights are much in demand. We take you only to the city’s very best restaurants; we pair the meal with fantastic wines or spirits. We get the chefs to come up with outstanding-and-not-on-the-menu 4 to 10 course dinners. All this only so that you can really experience fine dining. VINEYARD TRIPS – We are in touch with most of the vineyards and can organise Indian as well as international vineyard trips for groups who wish to learn while being surrounded by true beauty.